In July 2018 the New Zealand government introduced a regional fuel tax on all sales of petrol, diesel and their bio-variants within the Auckland Council region, except Great Barrier Island. This tax, an additional 10 cents per litre plus GST, is paid by distributors that deliver fuel to local gas stations and fuel storage tanks as well as commercial users such as machines, marinas and other vehicles within the city boundaries. The tax is administered and collected by the New Zealand Transport Agency who in turn forwards the collected monies to the Auckland Council. Profits made from the regional fuel tax will be used to fund transport projects in the Auckland area which would otherwise be delayed or not funded at all. However, there are exemptions from the regional fuel tax. 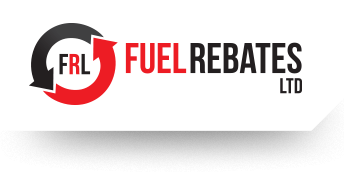 If you or your business purchase fuel within the Auckland region, Fuel Rebates Ltd can help you claim a regional fuel tax rebate. To be eligible for a regional fuel tax rebate you need to be purchasing fuel in the Auckland region. This includes Wellsford in the north, East and West Coast Beaches and reaches as far sout as Pukekohe. If you also fall in one or more of the following categories, give us a call and we can discuss how we can help you work out a claim. You are getting diesel delivered to your fixed home heating tank. The fuel is used to operate a commercial vessel such as fishing boats or search and rescue vehicles. The fuel is being used for commercial purposes other than in a vehicle, aircraft or vessel. This includes tools and machinery such as chainsaws, stump grinders, pumps, compressors, generators and similar. Your vehicle is not legally required to be registered or it is registered, but exempted from paying Road User Charges (RUC). This includes heavy machinery such as forklifts, front end loaders, mobile cranes, bulldozers and tractors. The vehicle is being used in commercial agricultural operations such as harvesters, hay balers or feed troughs. If you have leased or hired any of the above for your business you are also eligible to make a claim. Are you eligible for a regional fuel tax rebate? Simply use our contact form, call us on 0800697322 / 07-8894444 or send an email to fuelrebatesnz@gmail.com. One of our agents will get in touch with you as soon as possible and discuss your claim. If you are making a private claim for home heating, all you need to provide is your contact and bank account details as well as your NZTA customer number and digital copies of your fuel purchase invoices. Commercial claims are more complex and need a range of documents and evidencing This is where Fuel Rebates Ltd can help guide you through the process. Claims can only be made once, so it’s important to get it right the first time. We offer our knowledge and expertise and will take over the paperwork for you, collect all the data necessary for the claim and ensure that you get your refund as soon as possible. Claims are only available online and need to be made quarterly. In order to avoid penalties we need to lodge your claim within 3 months after each claim period has ended. The minimum amount you can claim is $20 which equals roughly 200 litres of fuel being used. Claims usually take up to 3 business days to be processed through NZTA with approved payouts being made within a fortnight into your nominated bank account.